50 Cent is coming to television. This week, A&E announced they’re developing a new variety series with the hip hop artist tentatively titled 50 Cent Presents. Starring Curtis “50 Cent” Jackson, the series will feature sketches, music, and guest appearances. No word yet on when the series will premiere. NEW YORK, NY – MARCH 17, 2016 – A&E Network is in development on a new sketch comedy, music and showcase series “50 Cent Presents” (working title) developed by, starring and executive produced by renowned rapper, actor, entrepreneur Curtis “50 Cent” Jackson. The announcement was made today by Elaine Frontain Bryant, Executive Vice President and Head of Programming at A&E Network. Jackson is best known as an award-winning rapper, actor, entrepreneur and executive producer of hit television shows, but now he’s focusing his skills on curating the best comedic, musical and performance acts that he can find for a variety series unlike any other. Whether he’s breaking new talent, giving his A-list friends a chance to show off their lesser known skills or just dropping in on some of the most original acts on earth, Jackson will set the stage for the most freewheeling, no-holds-barred performances to air on modern television. The series will combine sketches, standup, reality experiments, music, magic, dance and celebrity guest appearances. Jackson will also serve as host, giving viewers cutting-edge content within an innovative take on the variety format. “I grew up watching variety shows and am excited to put my own spin on the format. I hope everyone is ready to bring their talent forward, I want to show the world the best of the best,” says Jackson. What do you think? 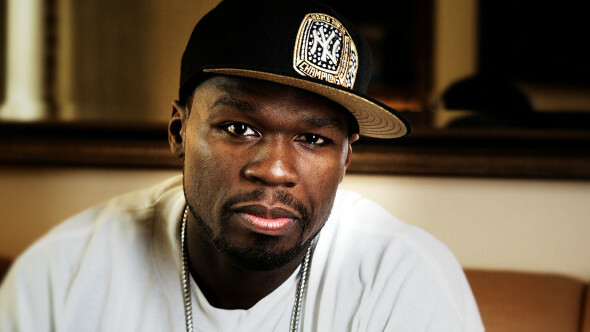 Are you a fan of 50 Cent? Would you watch 50 Cent Presents? More about: 50 Cent Presents, 50 Cent Presents: canceled or renewed?, A&E TV shows: canceled or renewed?